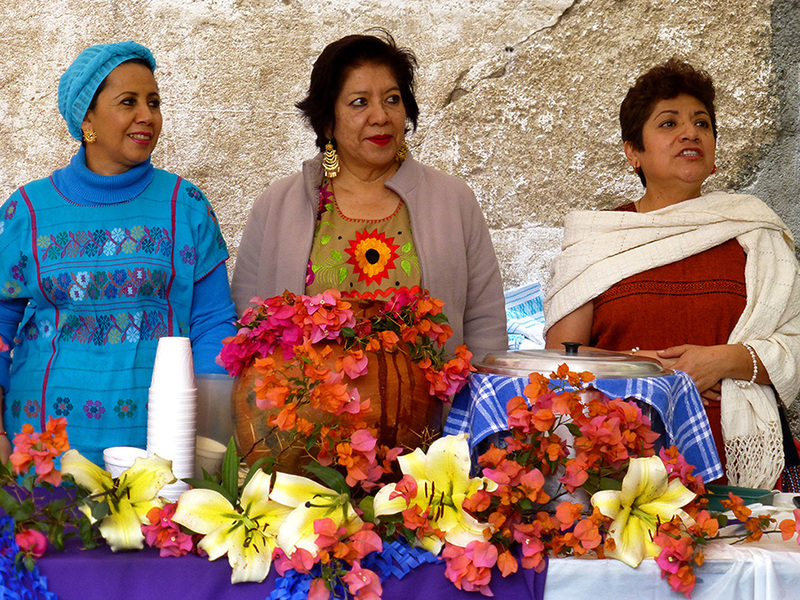 Five days ago, Norma Schafer blogger at Oaxaca Cultural Navigator and moderator of the Facebook group, Mexico Travel Photography, issued a 5-day “Mexico Colors” photo challenge to the Facebook group — one photo a day for five consecutive days. I think she was giving us a gentle prod, because up until then, most of us had been pretty lax about posting photos. However, with her challenge, the floodgates opened. Unsurprisingly, my five entries were all about the colors of Oaxaca. 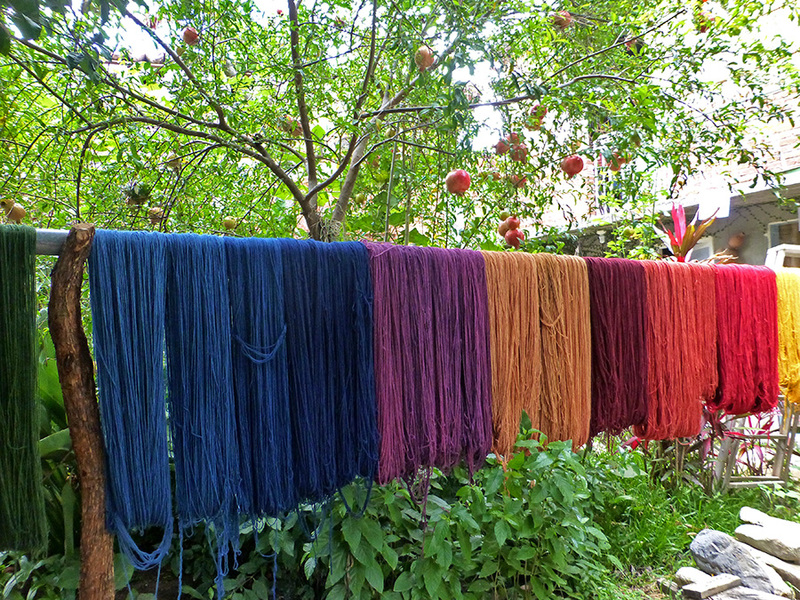 Day 1: Naturally dyed yarn hanging to dry at the family home of Porfirio Gutiérrez and his sister, Juana Gutiérrez Contreras. 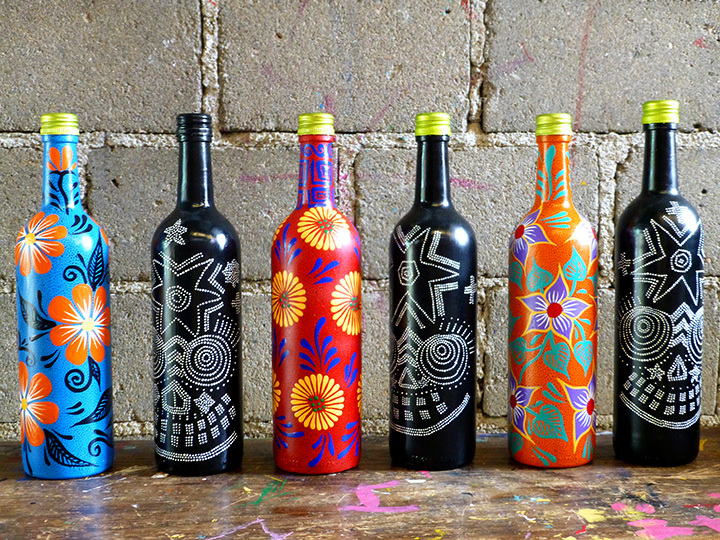 Day 2: My empty wine bottles hand painted by Isabel in San Antonio Arrazola, Oaxaca — waiting to be filled with mezcal! 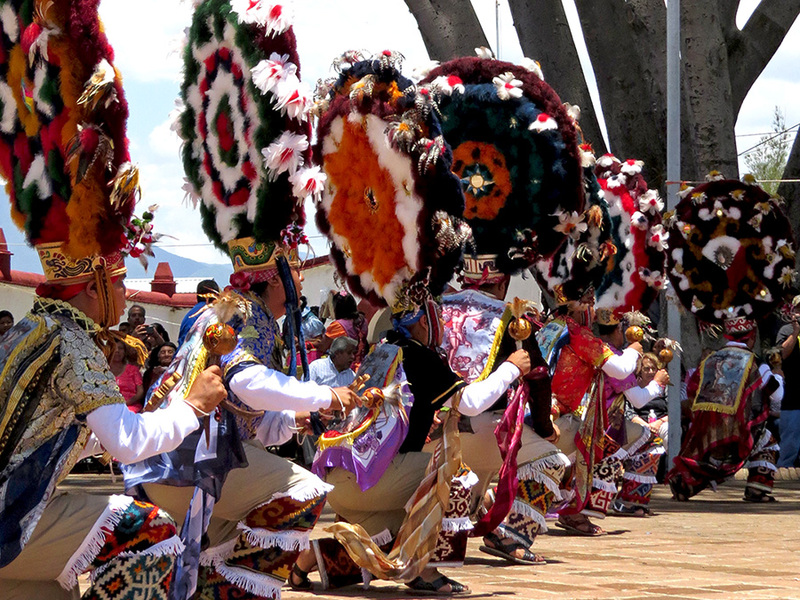 Day 3: Danza de la Pluma in Teotitlán del Valle, Oaxaca — during this year’s patronal festival honoring Preciosa Sangre de Cristo. Day 4: The “only in Oaxaca” celebration of Día de la Samaritana in Oaxaca city. 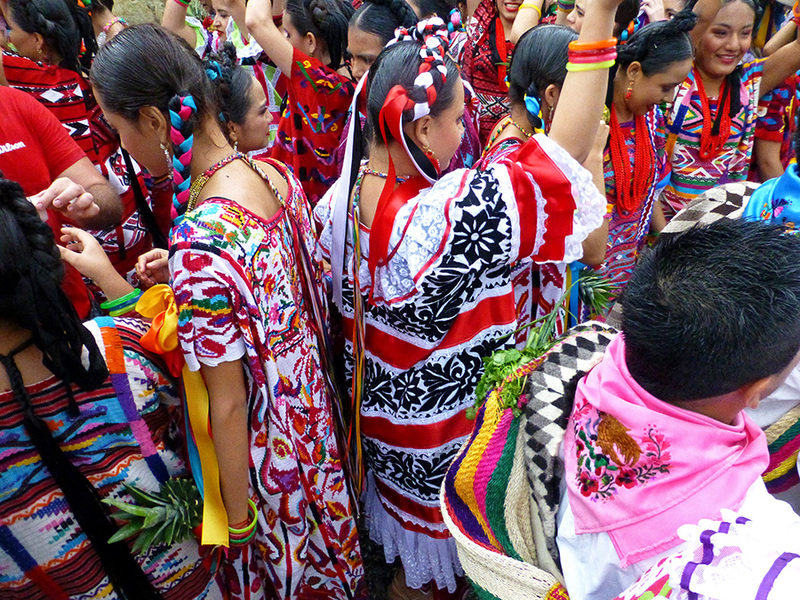 Day 5: Flor de Piña dancers from San Juan Bautista Tuxtepec at this year’s second Guelaguetza desfile in Oaxaca city. Norma has hinted that there may be more challenges to come. We shall see! Shannon, your set of 5 are wonderful! Thank you for sharing. The Mexico Travel Photography Facebook Group is open to all who are interested in photography, want to participate. Mexico is a beautiful place! Hey Shannon, we drink the same brand of white wine! Pretty drinkable even if it does have a screw-on cap! ¡Jejeje! Love the screw tops; so much easier to open and to reuse for other libations. 😉 To make it even more palatable, I add ice and a drop or two of creme de cassis (brought down from the US) to it. Thanks, Barbra. The beauty here is everywhere!!! Wonderful images filled with colors! Gracias, Ron. I love that, even on a grey and overcast day, there is always color! We could use a little of that color here in Alaska. Now that the flowers are fading, it’s a green, brown, and gray world. (No blue because it has been raining for days). Would you ever sell any of those decorated wine bottles? Or decorate others? Sorry, they have all been given as gifts. However, you can have empty bottles painted by artisans in Arrazola and San Martín Tilcajete or there are shops in Oaxaca city that sell painted bottles. Those wine bottles! Such gorgeous colors and designs!